Award winning chef & bespoke inclusions all in a modern, fresh setting. 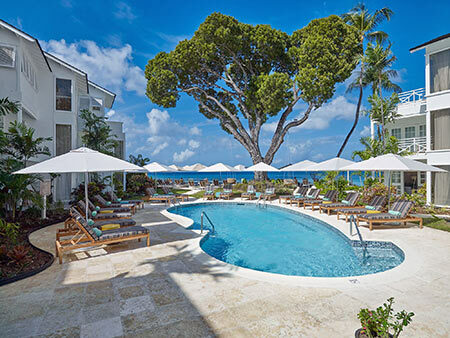 Treasure Beach by Elegant Hotels is the newest boutique hotel to land on the island of Barbados. 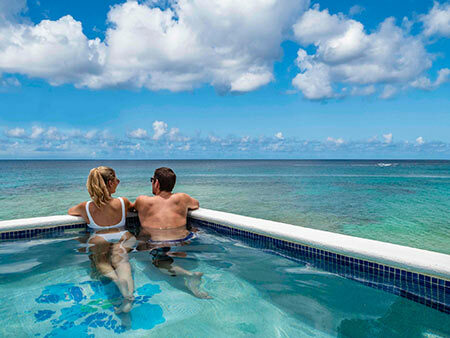 The adults-only beachfront property consists of 35 renovated, one-bedroom suites, set in lush, tropical gardens that feature stunning views of the Caribbean Sea. The newly redesigned suites, which include impeccable details such as coral stone walls, all boast private balconies with garden, pool or ocean views, complete with vaulted ceilings and private plunge pools. An artistic and culinary haven designed for discerning travelers, Treasure Beach features contemporary artwork by local and regional artists. Tapestry, the on-property restaurant, offers globally inspired dining and an open-kitchen concept where guests can watch their dishes being brought to life. The restaurant's versatile dinner menu featuring a different themed each night, allows guests to indulge in the award-winning chef's latest creations. Guests are invited to enjoy quality wines and mixology events in the intimate Wine Cellar outfitted with it's very own sommerlier, or relax al-fresco with a selection of cocktails at the stylish Batik Bar, poolside. As with all Elegant Hotels properties, complimentary water sports and beach and pool ambassador service are included in each stay. Guests at Treasure Beach can experience a range of locally inspired activities and excursions including a nightly complimentary Sundownher Hour to a hands-on food style class. Aspiring artists are invited to meet with a local artisan or embark on the Treasure Art Crawl where they can explore creative hubs, such as the Caribbean Gallery of Art and the Pelican Craft Village.